High-quality, expert tree pruning by trained arborists, improves the health and appearance of trees, prolonging their useful life through the removal of undesirable branches, whether they are dead, weakened, diseased or insect-infested. We prune all trees to follow industry standards. !Since no tree is the same we would be happy to come by and give you a free estimate!
! Click Here For Your Free Estimate ! Pruning your trees promotes health of the tree by removing diseased or insect-infested wood, thinning the crown to increase airflow and reduce some pest problems, and removing crossing and rubbing branches. Pruning can best be used to encourage trees to develop a strong structure and reduce the likelihood of damage during severe weather. Removing broken or damaged limbs encourages wound closure. Dead trees branches are unpredictable and can break and fall at any time. Dead wood is often dry and brittle and cannot bend in the wind like a living tree or branch. A dead branch and treetop that is already broken off ("hanger" or "widow maker") is especially dangerous. Act immediately if . . .
• A broken branch or treetop is lodged in a tree. Crown Thinning — selectively removing branches on trees throughout the crown. This promotes better form and health by increasing light penetration and air movement. Strong emphasis is on removing weak branches. 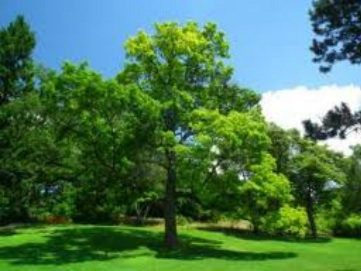 Crown Raising — removing lower branches on developing or mature trees to allow more clearance above lawns, structures, play areas, sidewalks, streets, etc. Raising Lower Canopy —Another common term removing lower branches on developing or mature trees to allow more clearance for window views, lawnmowers, structures, sidewalks, streets, etc. Let Us Take Care Of Curb Appeal!!! Don't let your tree's hide the beauty of your home! Let Bauermeister Tree Service take care of all of your tree maintenance needs! !